At the end of Halloween there is a common dilemma posed to most households. They usually have more candy than they know what to do with. One can only eat so much candy at one time. Here are some tips for you so that you can keep your candy fresh for a few weeks. 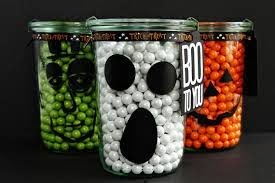 Keep all the unopened candy in their original wrappers and store the treats in sealed, airtight containers. Then place it in a cool place away from moisture. Try and store different types of candies separate. Candies that are hard and sugary tend to absorb moisture and become sticky. Chocolates and other softer, chewy candies tend to lose moisture and become dry. If you store the hard and softer candy together, they will lose their original texture and become inedible. Almost all types of candies can survive for months if they are stored in a freezer. Except for gummies and jelly beans. Store these at room temperature in an air tight container. If your child has had a particularly good haul of treats this year, perhaps it is a good opportunity to explain to him the joy of sharing. 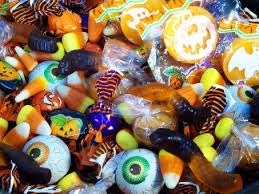 Donate candy to a food bank or shelter. Take your child to an orphanage to share his candy with the kids. Contact us to rent storage space to store your awesome Halloween accessories after the holidays. Happy Halloween from The Box. What will you do with all your candy this year? Leave us your answer in the comments.